What does Japan mean for nuclear? In the on-again off-again love affair Japan has with nuclear energy, reports indicate that Japan is out of love once more – but does that spell doom for the hopes of nuclear? Japan, understandably, has a rather tenuous relationship with nuclear energy. It was one of the major economies to be fuelled by uranium, but recent reports indicate that it wants to scale back its use. Reuters reporting has indicated that Japan will cut its official targets for nuclear use from 20-22% of its total power by 2030 down to 10-15% ­– citing sources familiar with the matter. A reduction of this size would certainly be a big turnaround for the fortunes of nuclear energy in Japan. Prior to the 2011 earthquake and tsunami, the use of nuclear in Japan met 30% of its energy needs – and plans were to boost this to around 50% by 2030. From 50% down to 10-15% is a significant statement. 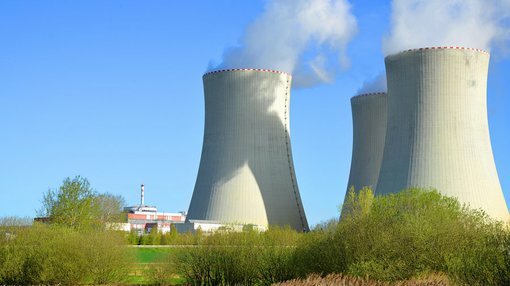 Is it all doom and gloom for nuclear? Well, not really. Firstly, post-Fukushima the amount of nuclear energy being used in Japan is roughly...zero. So, an increase to 10-15% is actually pretty bullish growth when you think about its current base: certainly not as bullish as 30% or 50%, but still a large amount of energy. International Energy Agency figures indicated that Japan generated around 1025 terawatt hours gross in 2014, so it may end up working its way back up to about 153Twh by 2030. That’s assuming that energy use in Japan won’t increase by 2030. Sure, there will be massive electricity efficiency gains made in that time, but at this stage you wouldn’t bet against a rise in overall energy use. To answer the question of if it is doom and gloom for nuclear depends on how you look at it – there will still be to be a large rise in nuclear use even if the Reuters reporting holds true. The more prescient point, however, is that Japan isn’t the main game in the region for nuclear. We have covered the role China will play as the dominant nuclear power in the region. Nuclear energy in China will be the main driver of the uranium trade in the region – and it’s mainly driven by the need to find greener sources of energy generating for baseload power. Back in November 2014 it announced that 20% of its primary energy consumption will come from non-fossil fuels by 2030. This was later expanded to include a 60-65% reduction in 2005 carbon dioxide levels by 2030. What does that look like for nuclear? Well, China has previously stated that nuclear power generation would be 120 to 150GW hours. Consider that it currently has 28.79GW installed nuclear power capacity. Now consider Japan has 40.29GW of installed nuclear power capacity. China is aiming to install at least three Japan’s worth of nuclear power in the years to 2030, while Japan will aim to restore use from practically nothing to 152TWh. It’s still a massively bullish story – but increasingly the China story is overshadowing the Japan story – at least in the numbers anyhow. Nuclear is still bullish for the Asia region, just not as bullish as it may have once been. But if there is an overwhelming winner out of Japan’s announcement – it’s renewables and LNG. Whenever the nuclear story suffers a setback in Japan, the propsects for the LNG players increase. On 25 May when the Reuters story broke until 27 May three of Australia’s largest LNG stocks in the form of Santos (ASX:STO), Woodside (ASX:WPL), and Origin Energy (ASX:ORG) received a boost. They increased 5.61%, 2.5%, and 1.79% in that time respectively. In that same timeframe, the ASX 200 index went down by 5.52%, and in that time there was no discernible rise in the price of oil – with West Texas Intermediate barely rising from $49/bbl. Instead, investors clearly saw that a customer with a self-imposed energy shortage needed to make up the shortfall – and a fair chunk of it may come from LNG. There are already trade deals in place with existing LNG plants in Australia, and therefore the existing players are well-placed to deal with any extra volumes ordered from Japan. Should the ultra-bullish occur, then existing players are well-placed to add extra capacity. So in the case of Japan taking away theoretical nuclear power capacity – it’s not quite fair to say that the nuclear industry and uranium producers are losers, but rather alternate energy sources may end up winners.